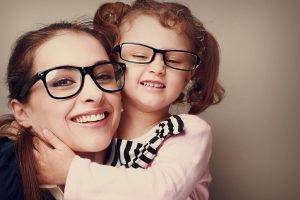 Dr. Timothy P. Kenkel & Associates will provide your whole family with a total range of eye care services. Patients of all ages, including infants, kids, adults and golden-agers, are invited to visit our modern and pleasant eye care clinic. Walk-ins are welcome! If you are in Bridgetown, OH, please stop by anytime to take advantage of our one-stop shop for all vision needs, or contact us in advance to schedule an appointment. We accept most insurance plans. Using the latest high-tech equipment, our friendly and experienced eye doctor will perform a comprehensive eye exam, including vision testing and screening for eye disease. We furnish our office with the most efficient diagnostics and a warm atmosphere – all to ensure that you have a great eye care experience! If you have dry eyes or suffer from computer, we can help! Are you interested in LASIK refractive surgery? We will meet with you to discuss your candidacy. Do you need a Geriatric Eye Exam? Dr. Kenkel will inspect your eyes thoroughly, as well as provide first-rate treatment for eye disease, such as macular degeneration, cataracts and glaucoma. Looking for new eyeglasses? We have a complete, stylish inventory of eyeglasses and sunglasses in our Bridgetown, OH, office, located conveniently in the Cincinnati LensCrafters on Glenway Avenue. Is it time to buy contact lenses? 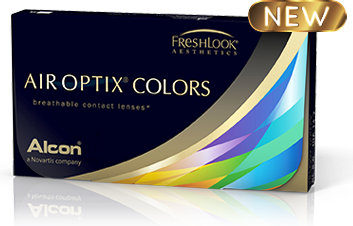 If your supply is running low, check out our outstanding inventory of contact lenses. If you’re interested in trying contacts, we offer Same Day Contact Lenses – we can often fit patients immediately with a trial pair! From A-Z, we offer all the eye care services you need for healthy eyes and sharp vision! Our neighborhood of Cincinnati is situated in Green Township, Hamilton County, Ohio. Mt. Airy Forest, the largest park in the city is only a few minutes’ drive from our Bridgetown optometry practice. One of the most scenic parks in the region, it includes extensive trails for hiking and horseback riding. Mt. Airy also features an enclosed dog park and the only wheelchair accessible public treehouse in Ohio. It’s a wonderful place to make a picnic, or simply wander through the gardens and gazebos. Golfers in the area are huge fans of Woodland Golf Course, known as one of Cincinnati’s hidden gems! With a unique twist, this club offers an 18-hole Footgolf Course – perfect for anyone looking to try something new. If you’re a beginner at putting and teeing off, or you want to work on your short game, you’ll also appreciate Woodland’s 9-hole course. This popular recreation facility is only a four-minute ride from Dr. Krenkel’s eye care office on Glenway Avenue, so you can easily play a game before or after your eye exam. Ask us about specialty eyewear, lens coatings and tints to enhance your sports performance. Once you confirm that your eyeglass and contact lens prescription is accurate, head to the nearby Carew Tower Observation Deck to see a striking 360 view of the whole area, including Bridgetown and all Cincinnati neighborhoods, as far as the Ohio River. After you’re back on the ground, head down the street to the CAC/Contemporary Arts Center. This museum displays rotating exhibits, so you can pop in to see something new every time you’re in the area. We look forward to checking your vision so you can enjoy all your favorite destinations in the Bridgetown, OH, area!